We have no doubt that Mexican cuisine is one of the most popular meal choices in the United States. Tacos, enchiladas, burritos, and quesadilla are just some of the meals that have been integrated into our daily diets. Who doesn’t love taco night? Mexican recipes are often spicy, full of color, flavor and come will extra cheese. However, a little history overview will reveal that their traditional recipes are not always as they seem. When the Spanish first invaded Mexico in 1521, they brought with them a new variety of livestock. This included cows, pigs, and sheep. The Spanish also introduced Mexico to other foods. Such as dairy products, garlic, and other spices. This meant that the Mexicans were missing a fundamental and much-loved ingredient in the quesadilla. Cheese! Mexico introduced a variety of foods to the Spanish as well. This included peanuts, chocolate, vanilla, beans, avocados, coconuts, corn, squash, and tomatoes. By sharing their traditional foods, Mexicans and Spanish were able to develop and enhance their recipes. This brought on new variations of Mexican favorites. For example, adding delicious cheese to the quesadilla. The quesadilla is an essential recipe and meal in the Mexican culture. It is also to be considered authentic Mexican food. Yet, the quesadilla has roots that expand beyond Mexican traditions. For example, the corn tortilla is native American. The cheese, pork, beef, and lettuce that are essential ingredients in the quesadilla recipe originated from Spanish cultures. Yet, the famous Mexican hot sauce that is made from chili pepper is indigenous to Mexico. Unknown facts about the Mexican food history is that the common spices used to cook traditional Mexican dishes are not from Mexico. Black pepper, cinnamon, coriander, and oregano are all from Spanish origins. The French also helped inspire Mexican cuisine. They played an enormous role in developing Mexican recipes. When Mexico was under a brief French occupation in the 1960’s, they were introduced to new foods and cooking methods. The result was familiar dishes that we have all ordered at Mexican restaurants or grocery stores. These included stuffed chilies, also known as chiles en nogado. The strongest influence on Mexican food is probably from the United States. The United States has had an enormous impact on how Mexican food is prepared and served. They have mainly changed how people perceive it. Mexican food has been integrated into American’s diet so deeply that they have a name for it- Tex-Mex. Mexico’s food history has experienced many influences from different cultures. This has helped develop their traditional recipes into something that is varied and rich in flavor. The variety of cultural adaptions to Mexican recipes has created a mixture of culinary experiences. Have you ever met a person who did not like quesadillas? The correct answer to that is no. Who doesn’t like quesadillas? They are extremely versatile. You can make a quesadilla with just an egg, tortilla, vegetables, and cheese for a vegetarian. Or you can add meat to it for the meat lover. Children love quesadillas, and you can cook one in as little as 15 minutes. Quesadillas are meant to be healthy. They contain whole corn tortillas, eggs full of protein and other nutritious items. That is why we have included them into our Kudolife recipe list. We have transformed the traditional dinner quesadilla recipe. Now it is a quick breakfast quesadilla that you can enjoy on the go or with your family. Our breakfast quesadilla has been lightened up to maintain a healthy macronutrient balance while preserving the authentic Mexican flavor. To do this, we have reduced the amount of cheese by substituting lean protein instead. 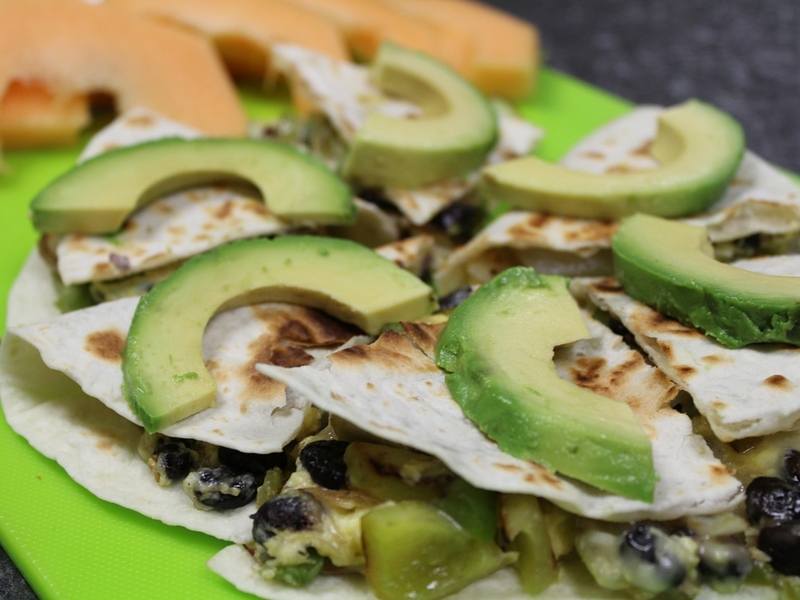 Try our Healthy and Easy Quesadilla Recipe that is ready in 15 minutes or less. Feel free to add as much traditional Mexican hot sauce as you like! Add eggs to pan on medium heat. mix in 1 Oz shredded cheese. Fold at center and continue until browned. 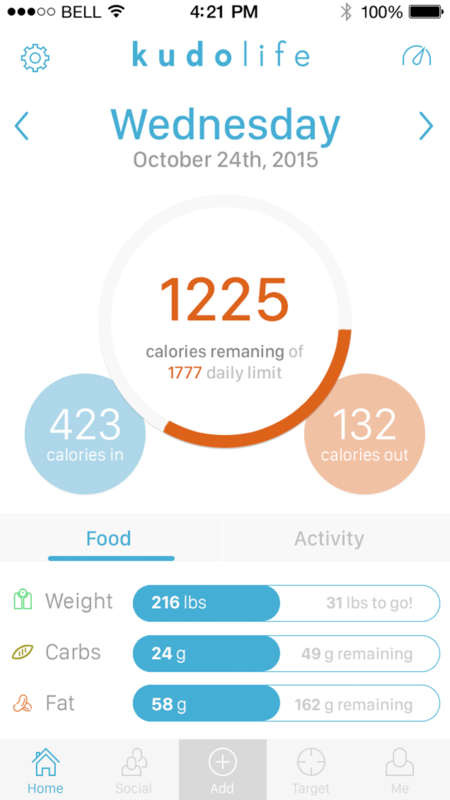 Lyda is a health and fitness contributor for Kudolife.